BourbonBlog.com is first to report that Diageo plans to release a collection of rare and older aged whiskeys. The collection will be called the Orphan Barrel Lost & Found Whiskey Company. 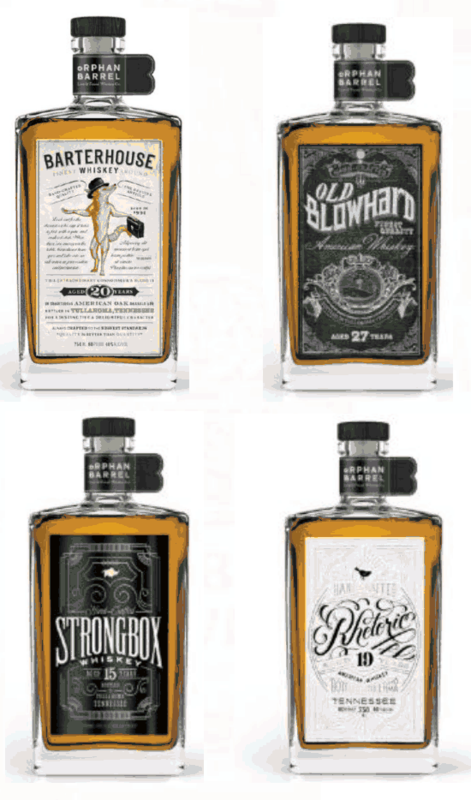 Ranging from 15 to 27 years old, some of whiskeys in the collection appear to be sourced from Diageo-owned George Dickel Distillery as Tullahoma, Tennessee is mentioned in materials and on the labels pictured in this story. However, other whiskeys in the collection have been confirmed by Diageo to be Kentucky Bourbons. The first to be released in the collection may be the Barterhouse Whiskey, a 20 year old whiskey which will retail for $60 a bottle. To be the first to hear about these and other rare whiskeys, subscribe to our free newsletter email here. “Orphan Barrel Lost & Found Whiskey Company, we prides ourselves in finding lost barrels of rare and delicious whiskey – dusty and long forgotten in the back of the rickhouse – and giving them a home. We are about craft. Quality. And truth. But we also like to have a little fun.